In partnership with Ann Williams Group Arts and Crafts kits for kids & adults of all ages. 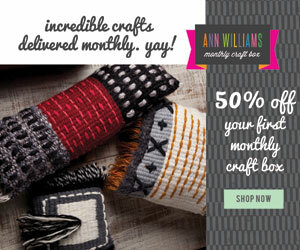 I’m so excited to have discovered the award winning arts and crafts company Ann Williams Group. I love every one of their arts and crafts kits. So far Finn and I have made these adorable Yarn Giraffes and a cute little blanket for Pooh on the Loopdeloom Weaving Loom. I had a sneaking suspicion that wrapping things in yarn would be really therapeutic. I was totally right. I loved making these yarn giraffes as much as Finn did. The colors of the yarn are gorgeous and Finn loved choosing the color combinations. The giraffe project is designed for children 8+ but Finn was able to do a lot of the giraffe’s neck and the legs and I helped tie off the ends. He was so proud of himself when he finished each part. When I started weaving a couple of years ago, Finn started weaving too. I love that he wants to try everything. In his Montessori class he wants to be a kindergartner. The kindergartners are impressively committed to making sure he understands that he is not, in fact a kindergartner, but his teacher lets him do kindergarten “works” sometimes. His mind is constantly busy so when he has something complex to work on he becomes super focused. The weaving project took us a few hours and I was so impressed with Finn’s patience. The plan was to weave a long scarf. He kept at it, improving with each row until viola! the perfect size for a blanky for Pooh (we’ll make the scarf next time). Ann Williams has craft projects for kids of all ages, right up to adults. They all come with easy to understand instructions and there are how-to videos for the more complex projects. There are way too many Ann Williams Craft Projects to list here but these are some of my favorites. Those trees have won my heart. Where do you get all your great ideas you must be looking every waking minute. Thank you for doing the hard yards.